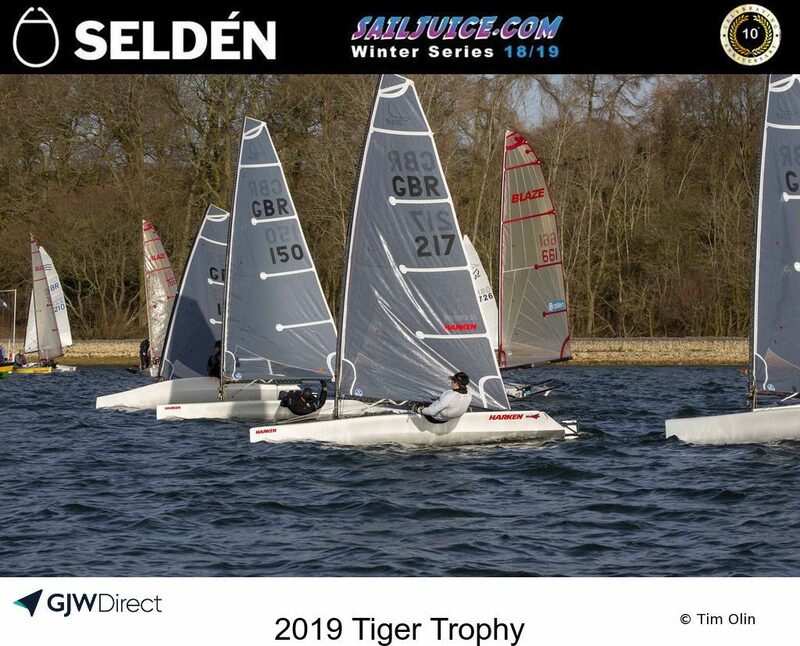 The first weekend in February can only mean 1 event for the hardy winter sailors, The Tiger Trophy. Traditionally this event is the coldest and windiest on the calendar. 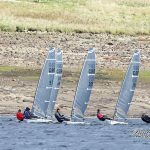 The Saturday of the event certainly lived up to that with temperatures around freezing and a gusty force 5 to 7 wind blowing. 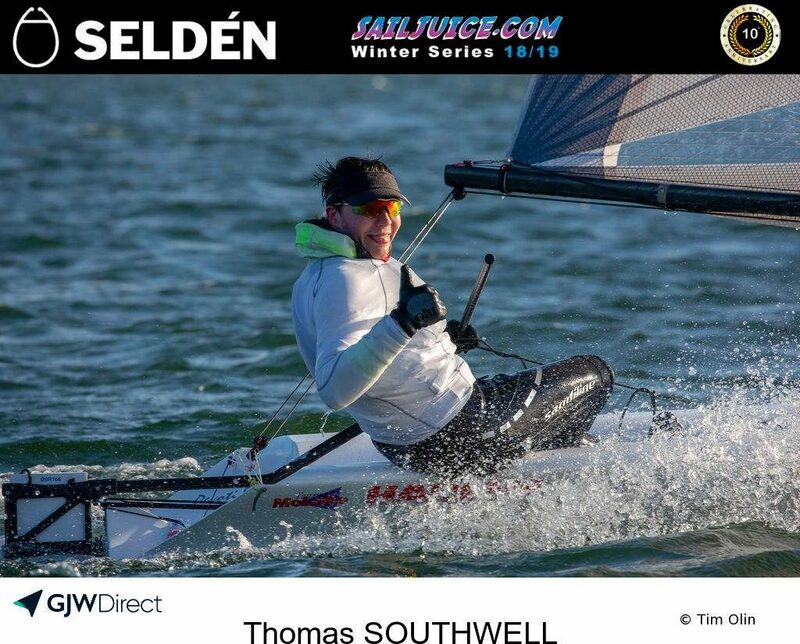 Undeterred by this 5 D-Zero sailors ventured out including the current series leader Tom Southwell who had put in a late entry just before the deadline. Tom seemed to be a little rusty in race 1 only coming home 3rd in class with Andrew Spencer and Ed Deacon both getting the best of him. 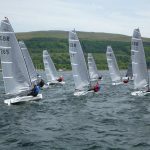 He made no mistake in race 2 leading the fleet home (this is despite several reported capsizes, probably to examine the condition of his hull and to allow the chasing boats to catch him. 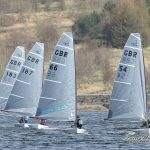 For race 3 Andrew and Kevin decided enough was enough and headed for an early shower leaving the hardier Tom, Ed and Nigel to fly the class flag. Tom duly delivered leading them home giving him a handy lead in the class honours overnight. Sunday dawned cold and frosty but with a distinct lack of wind and sailors from all classes frantically working out how to defrost their frozen boats. By the start time for the non-discardable pursuit rolled around temperatures had risen, the sun was still out and a nice breeze was blowing. 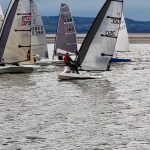 Then conditions seemed to suit Tom nicely as he carved he way through the fleet to lead the D-Zeros home by a big margin and take 19th in the race. Nigel got the better of Ed in the lighter winds with the pair of them 59th and 63rd overall respectively. Andrew was next in 71st and the improving Kevin in 82nd. Overall this meant Tom took class honours and was 35th overall. Ed and Nigel were next coming home 56th and 57th and separated by a single point. Andrew was 64th and Kevin was 85th. In the D-Zero Winter Series standings it means that Tom has sealed the title with 1 event to go with Andrew sneaking back ahead of Nigel by a single point to complete the podium. All of the top 3 are booked to attend the final event of the series the Oxford Blue so there could be a showdown between Andrew and Nigel to decide the final podium placings. 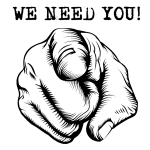 Full Winter Series class standings can be found by clicking here. 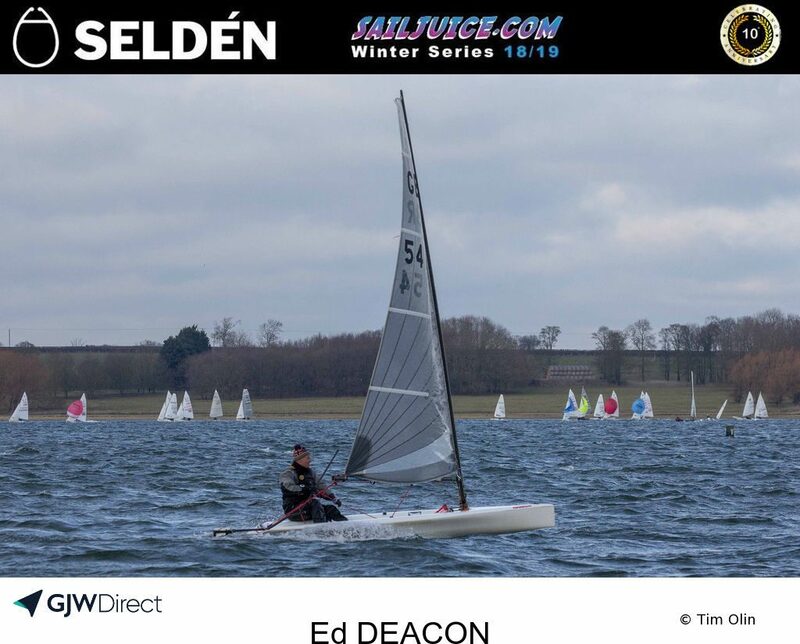 In the Selden Sailjuice Winter Series Tom is flying the D-Zero class flag in 19th overall followed by Andrew in 24th and Nigel in 33rd. 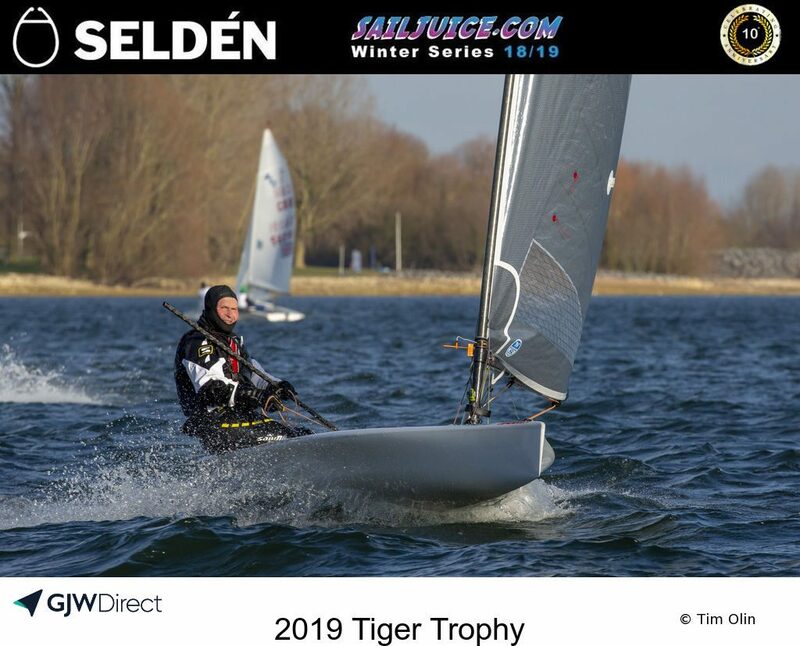 https://selden.sailracer.org with 7 D-Zeros entered at the time of writing.